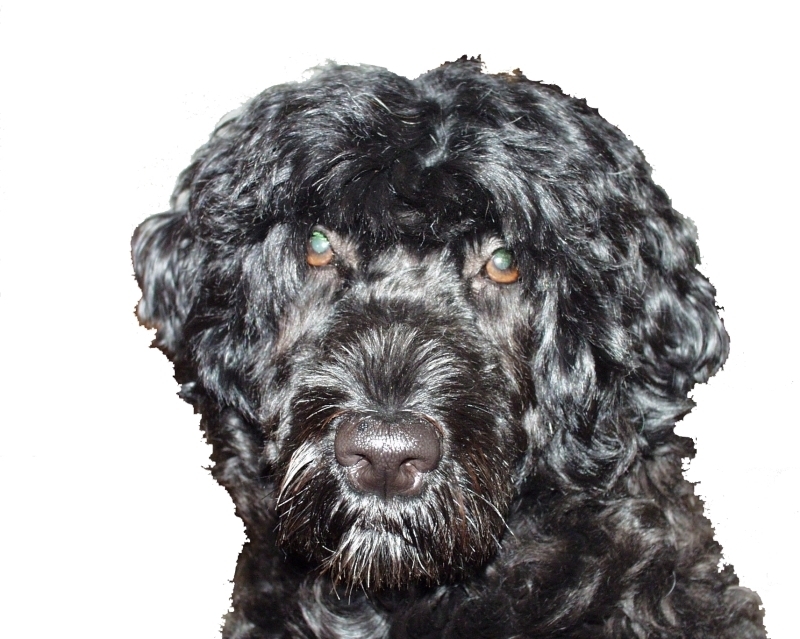 COZMIC.COM is the domain for Cozmic Creations, Cozmic Communications and Corrina the Portuguese Water Dog. NEWS FLASH - Corrina completed her NADAC Novice Jumpers (NJC) and Open Agility (OAC) titles the weekend of May 7&8, 2005. We haven't entered very many NADAC trials so this is a nice accomplishment for us. Mom has trouble remembering the NADAC jumpers courses, but finally put it together. Corrina, of course, LOVES NADAC Jumpers because there are no weave poles (just like USDAA Jumpers which she also loves and which was the first USDAA event we made it to Masters in). Cards, Clothing, Jewelry and more, including special designs for Portuguese Water Dog lovers. Click here to be one of the first to view the preview sale at Cozmic Creations. Just Added! New PWD items including: "PWD Agility Blues" Women's Blouse, Sterling Silver hand cut PWD necklace and more. Check it out. I recently took a full time job so Cozmic Communications is "on hiatus". If/when i go back to consulting i will be available as a consulting writer for technical projects in Software/Hardware Development, Sustaining Engineering and/or Marketing. No, that's not me above, that's my darling dog (more about her below). To view my resume (how boring) click here. The most wonderful dog in the world (in my opinion, of course) is UAGII Bonnydoon Corrina Corrina AWD AX AXJ AD AJ AS AR OAC NJC NGC. You can see how cute she is - this is really an excuse to have a page just for her. For those of you who don't know what those letters after her name are for, the AWD is "Apprentice Water Dog". This title is issued by the Portuguese Water Dog Club of America after completion of a skills test in the water. The rest are Agility titles from different organizations. The UAGII is from UKC. The AD is the USDAA Agility Dog title (AJ, AS, and AR are the USDAA Advanced Jumpers, Advanced Snooker and Advanced Relay titles). AD was probably the most difficult first level title of all for us. We've also completed the AKC Standard Excellent Agility (AX) and Excellent Jumpers With Weaves (AXJ). The OAC, NJC and NGC are NADAC titles (Open Agility Certificate, Novice Jumpers Certificate and Novice Gambler's Certificate). I'm very proud of her and i have some pictures and other information available by clicking here.